This beaded queen’s masks from Ghana displays remarkable craftsmanship in the ancient tradition of African mask-making. Intricately inlaid with beads and brass, this contemporary piece adds color and texture to any home or Office. 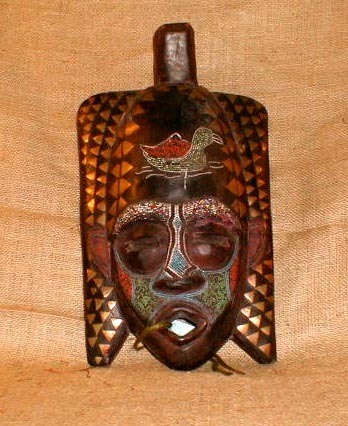 It is 17 inches tall, 9.5 inches wide, and has slight damage to the beaded duck figure on the forehead.